The Living Cully Community Advisors Committee was formed in 2013 to advise the work of Living Cully. Members of the committee are neighbors, community members and other interested parties. Members attend quarterly meetings of the committee as well as participate in one or more sub-committee around specific Living Cully identified goals including affordable housing, early childhood education/childcare, and community outreach/engagement around Living Cully Plaza. Participation in the committee is voluntary. To get involved, please contact Anna Gordon, annagordon@livingcully.org or (541) 513-9292. This group meets quarterly to work on increasing access to safe affordable childcare and early childhood programs in the Cully Neighborhood. 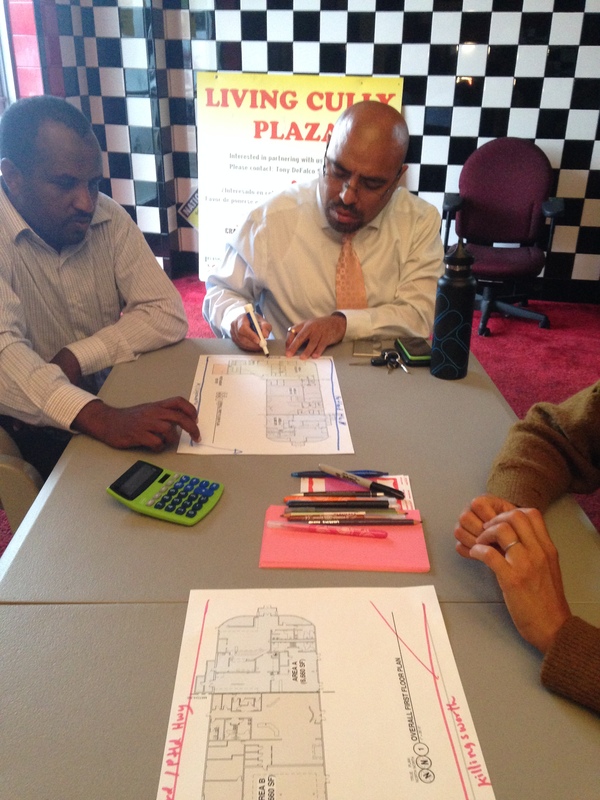 Current projects include making an inventory of neighborhood providers and researching barriers to access. This committee was formed to look at options for the redevelopment of Living Cully Plaza (the former Sugar Shack building). Made up of twenty community members, including residents of Hacienda, Helensview, and neighborhood small business owners, this group participated in two workshops to look at the feasibility of different redevelopment scenarios for the site, and helped educated their friends and community members about possible scenarios for the project. Summary of community feedback from . Cully Housing Action Team: CHAT! The Cully Housing Action Team! (CHAT!) is a group of Cully neighborhood residents and allies, convened by Living Cully, that is advocating and organizing to solve housing issues facing low-income residents and people of color. Issues that CHAT! is concerned about include: rising rents, landlord intimidation of renters, lack of access to affordable homeownership, unhealthy and unsafe housing conditions, and the vulnerability of Cully residents to displacement as housing becomes more expensive. Get involved! Contact Cameron Herrington: cameronherrington@livingcully.org, (503) 489-8334. In 2010, Verde created Lideres Verdes, an annual training program that builds the capacity of community members to participate in environmental organizing and advocacy and to participate in Verde activities and decision-making. Verde offers each participant up to 100 hours of paid ($12/hour) training, transportation and childcare. Classroom training is provided in partnership with the Latino Network, and includes subjects like “Introduction to community organizing” and “Getting to know your city government.” In Field training, the Lideres Verdes identify community environmental issues (e.g., neighborhood cleanup) and develop a goal for that issue and work toward that goal, supported by Verde. Lideres Verdes graduate Lordes Montes currently serves on Verde’s Board and graduate Claudia Gonzales served on the Community Involvement Committee for Cully Park’s Human Health Risk Assessment, and Lideres Verdes graduate Yoni Perez was a paid Cully Park Safe Access Facilitator, working with residents to develop safe access routes to Cully Park. 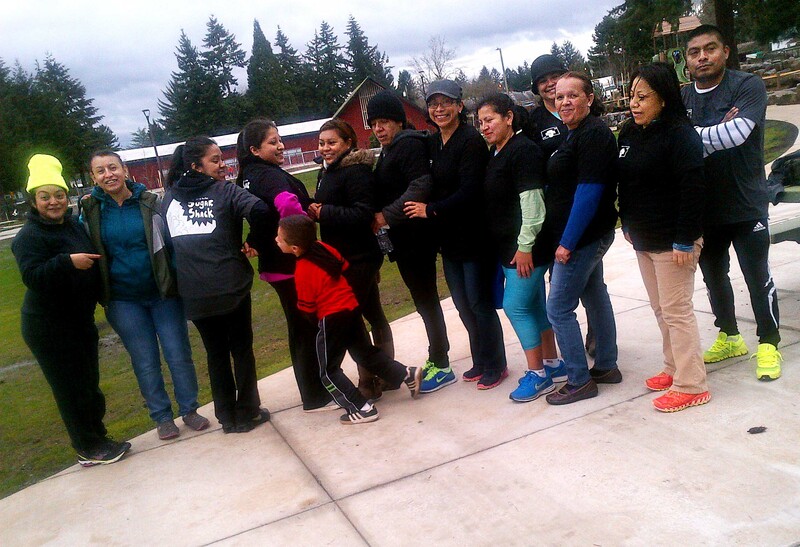 Verde has seen six groups through Lideres Verdes, and is currently engaged in inclusive strategic planning process to refine and expand the program. For questions about the program contact Pedro Moreno, Verde Outreach Coordinator: pedromoreno@verdenw.org or 503-980-5261. 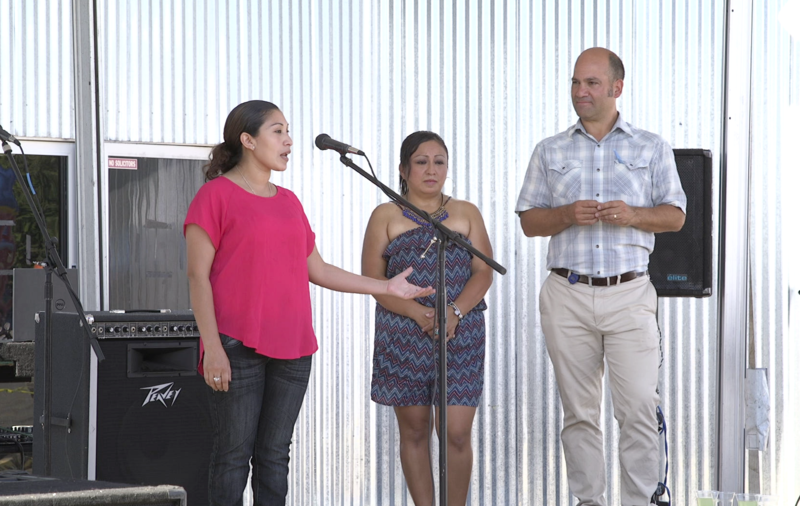 Living Cully supports existing community events in the neighborhood as well as organizing more opportunities for involvement, relationship building and cultural expression. This past year Living Cully organized the Cully Critter Cruise, National Night Out and sat on the organizing committee for Columbia Slough Watershed’s Explorando event and Our 42nd Ave’s Community Strengthening event. For information on how to get involved in Living Cully events, please contact Anna Gordon, annagordon@livingcully.org or (541) 513-9292.